All of INCRA's Aluminum Mounting Plates and the INCRA Mast-R-Lift-II feature the exclusive MagnaLOCK™ magnetic throat plate system. 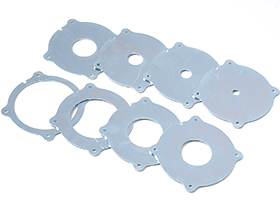 MagnaLOCK™ throat plates can be removed or added without any special tools. 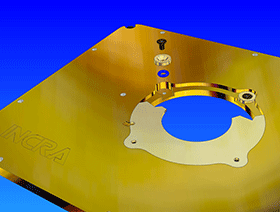 Simply drop any plate into the keyed recess and the MagnaLOCK™ plate snaps smartly into place held securely in place by 4 high-energy rare earth magnets. A perfect flush alignment with the surrounding left surface is guaranteed. This 8-piece set is a nice addition to what is included standard with the plates and includes a size for every requirement. 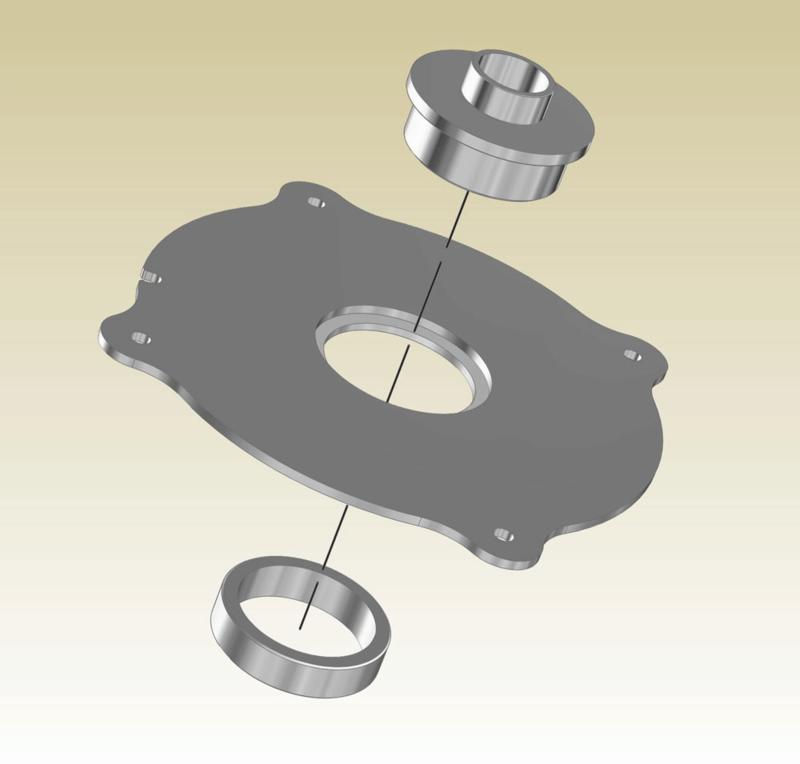 Now you can have zero clearance around any cutter diameter. 3/8", 5/8", 7/8", 1-3/8", 1-5/8", 1-7/8", 2-5/8", and 3-3/8". MagnaLOCK™’s instant, tool-free ring changes and perfectly flush fit for the rings make it simply the most convenient and best-performing ring system available. 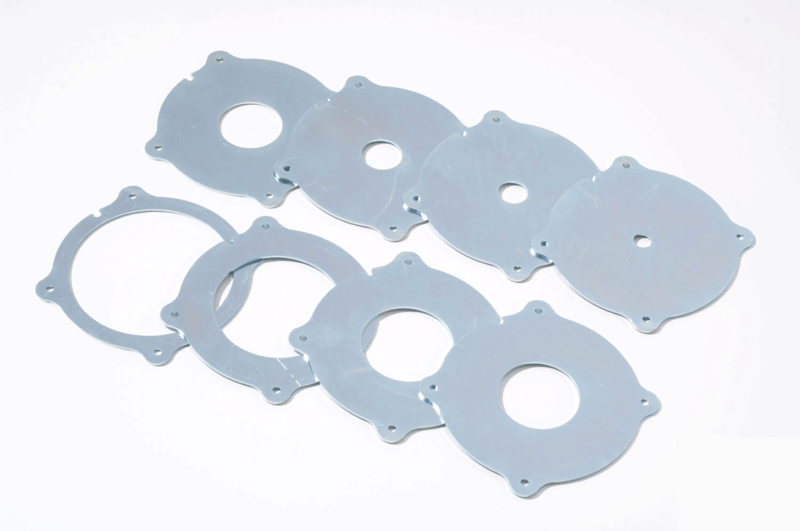 All of our mounting plates include three laser-cut steel rings with 1", 2-1/8" and 3-5/8" openings, and many more ring sizes are available as accessories. This ring is handy for doing pattern work on a router table, especially when the pattern's edge must be offset from the finished part. The ring features a 1-3/16" inside diameter within a shouldered recess to accept standard Porter-Cable style guide bushings. Guide bushing and lock ring not included. 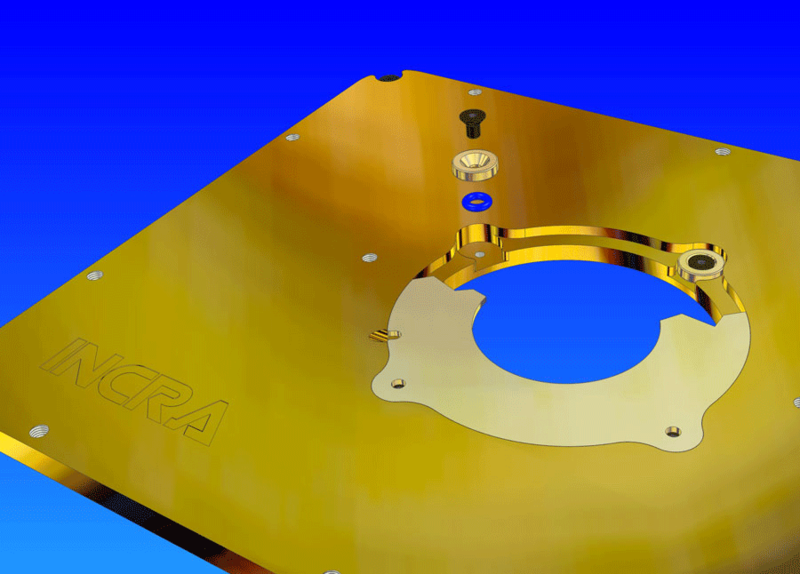 This ring will ONLY fit newer INCRA router plates and lifts that have a 3-5/8" opening through the plate. 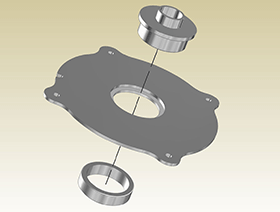 This ring is NOT compatible with grey Phenolic MagnaLOCK™ router plates or first-generation gold INCRA Mast-R-Lifts that have a 3-1/2" opening through the top plate. Solid Aluminum Mounting Plate with MagnaLOCK™ Throat Plate System. Click to download Router Tables & Plates Instructions in PDF format. Click to download Table Tops & Plates Video in Windows Media format. INCRA MagnaLOCK™ Plate Designed for and included with every INCRA Router table top. INCRA Router Table Tops These tops are designed to support even the heaviest of production routers and lifts, and will work with any standard 9-1/4" x 11-3/4" mounting plate.